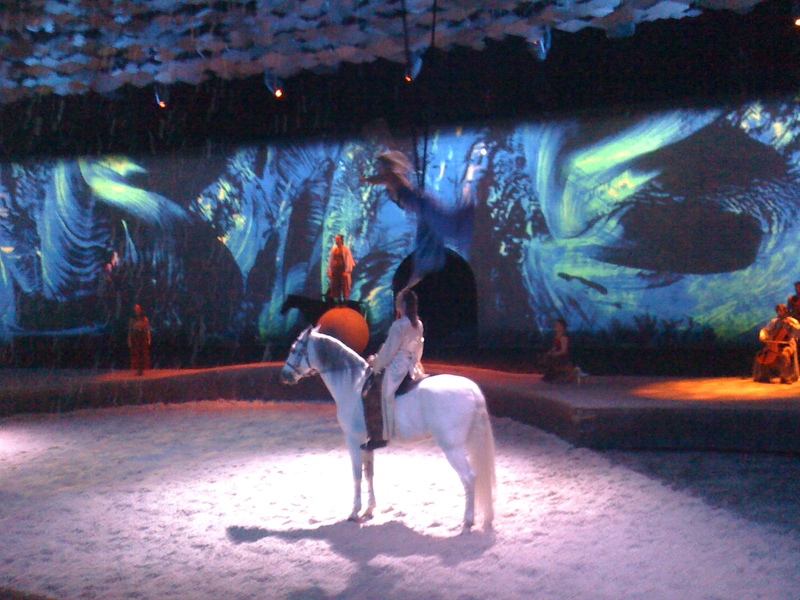 Tres Chic Style Takes a Look at Cavalia.... Behind The Scenes! Tres Chic Style headed to witness the raising of Cavalia's Big White Top this morning at the Izod Center in Rutherford, NJ. I was quickly greeted by the fab PR team at 5WPR and quickly introduced to Cirque du-Soleil Co-Founder Norman Latourelle. Still excited and feeling the sting of the summer heat, I listened intently to the visionary behind the majestic show we know as, Cavalia. 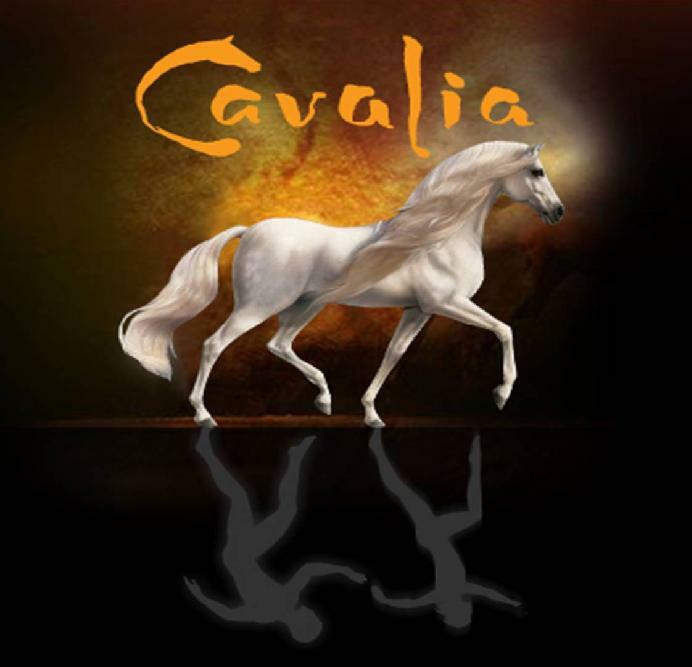 Seen by more than 3 million people worldwide, Cavalia is a tribute to what the horse has accomplished and a celebration of the relationship that we have enjoyed together. 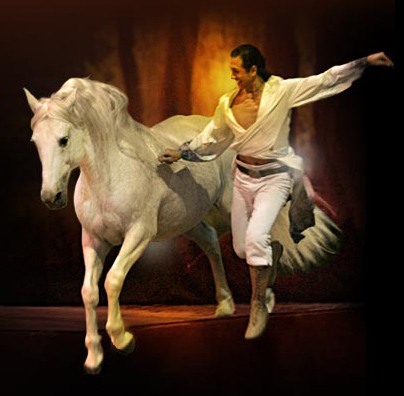 This multimedia extravaganza features more than 100 two-and four-legged artists, including beautiful horses of 12 breeds, riders, acrobats, aerialists, dancers, and live musicians. It is this combination that sets the mood in the majestic White Big Top, the largest touring Big Top in the world. 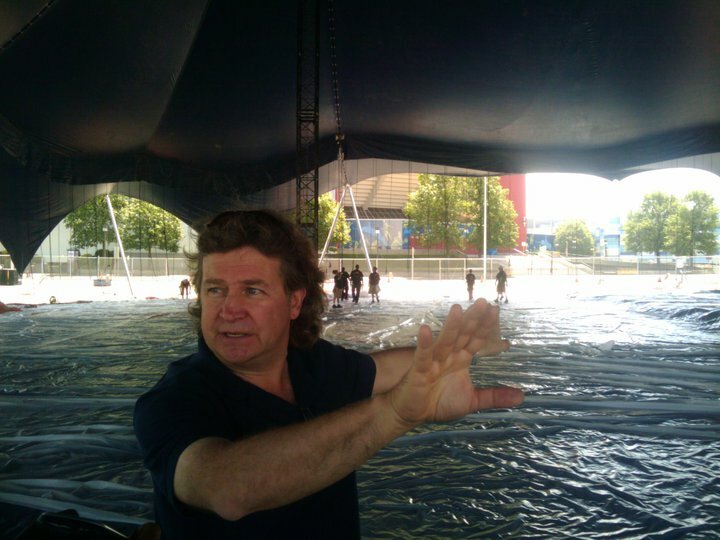 Headquartered in Montreal, Quebec (Canada), Cavalia is the brainchild of Normand Latourelle who has become renowned for producing events around the world. During my interview with the visionary behind Cavalia, I discovered his design of the Big White Top is an exact replica of the Denver airport. Mr. Latourelle was in awe of the design and even brought in the original architects to recreate his own theatrical version for Cavalia. The week long hiatus is an opportunity for them to roam freely, graze and play. Watching the Big Top White being raised was amazing to say the least. 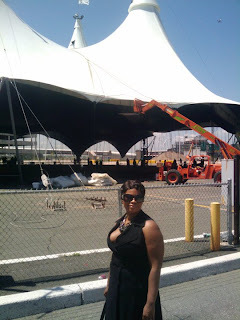 I anxiously watched (in heels, I might add) 50 men utilize great strength to power the mechanical side of the tent's pulley apparatus. 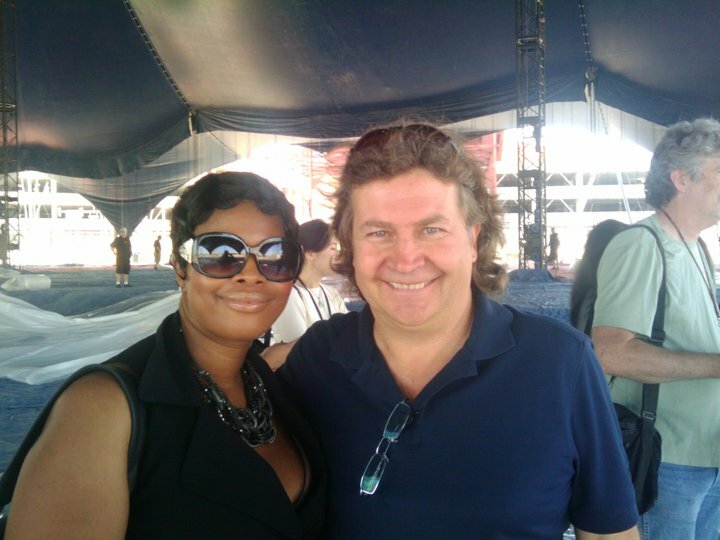 As press and media insiders waited for the finale, I chatted it up a bit with Mr. Latourelle. He not only expressed his enthusiasm in bringing his show to the New York Area but the intricate design of the stage itself. Audience members are actually seated with a row space of (1) foot to ensure they could actually see the ground, thus creating a realistic illusion of being a part of the show. I was in awe at the majestic beauty of the tent. AsI headed inside I became marveled at the charm of it all. 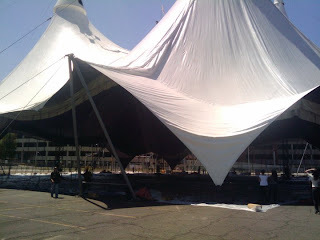 The tent stands at 100 feet tall and is the largest in the world. Under the world’s largest touring Big Top, a 160-foot wide stage allows the horses to express themselves in all their beauty, their grace and their strength, at times in total liberty. 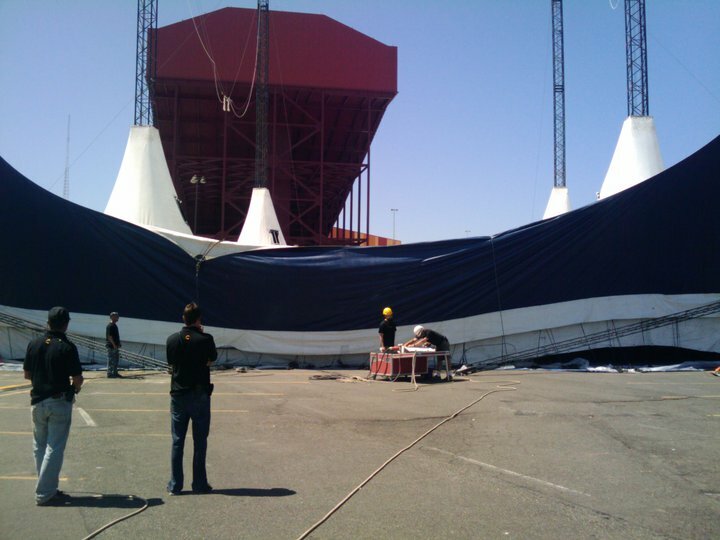 Cavalia will grace the New York Skyline under the White Big Top at the Meadowlands. Opening night is June 9, 2010 at 8 PM and shows will continue through June 20, 2010.